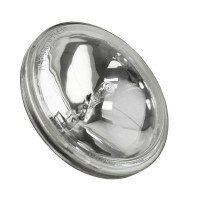 Series 9000X Turboreel 12v Inspection Light | Novatech Lighting Systems, Inc. 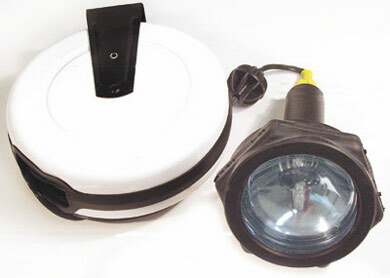 The 12-volt DC TurboReel Inspection light is for use on Emergency vehicles, Municipal trucks and any type of use where the only power source available is battery driven. Cord reel extends up to 50 feet and totally retracts into a self-contained housing. Light has no exposed metal parts. 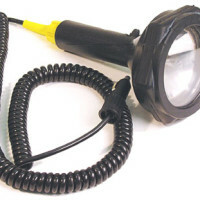 The Series 9000X TurboReel inspection light is a heavy duty, water-resistant spotlight/inspection light attached to a cord reel for use with 12 volt outlets. This makes it ideal for use on Emergency vehicles, Municipal trucks and in any area where the only power source available is battery driven. 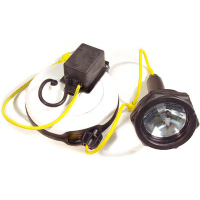 The design of this hand held inspection light includes a high-impact Lexan lens and rubber hex head designed to prevent rolling. 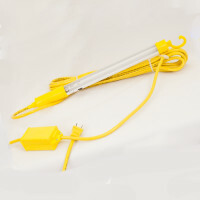 It also features a fully insulated switch on a rugged handle with no exposed metal parts. Cord reel extends up to 50 feet and totally retracts into a self-contained housing. Light has no exposed metal parts.